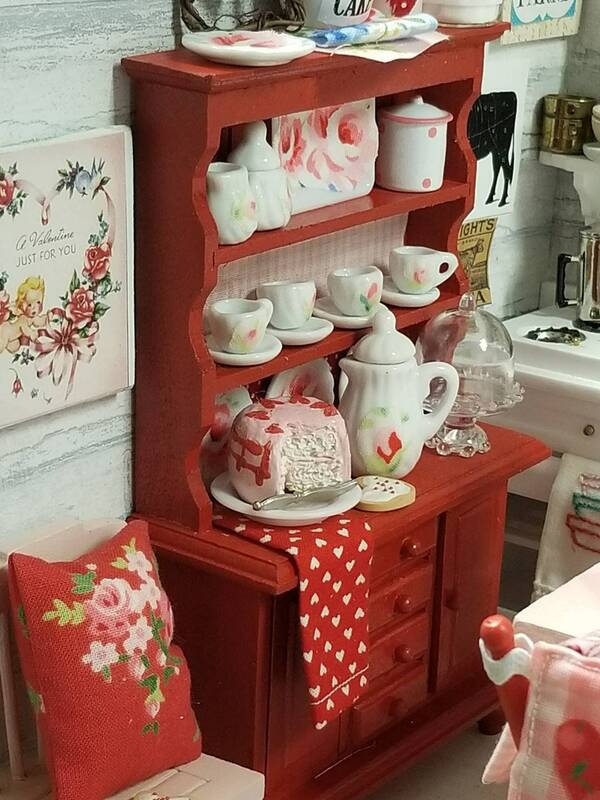 Handpainted red china hutch with Shabby stlye dishes and Valentines food and accessories. 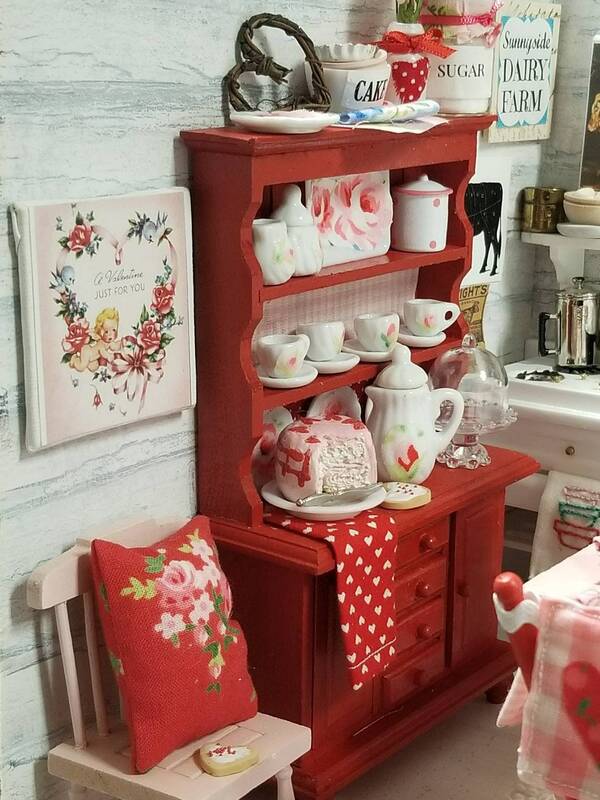 China hutch shelves are filled with beautiful little dishes and food Items. 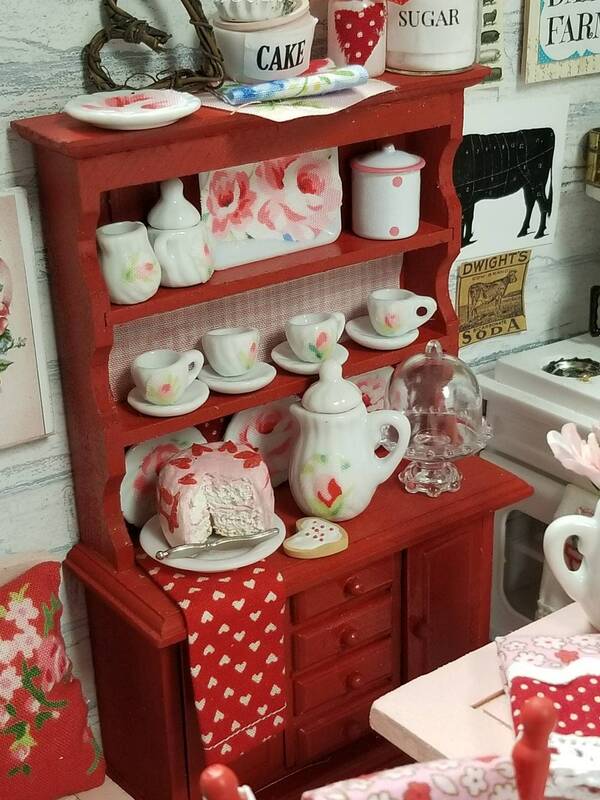 I adhered beautiful roses and rosebuds to dishes to give them a shabby chic style. On top is a glass sugar canister, little folded napkins, pink roses. 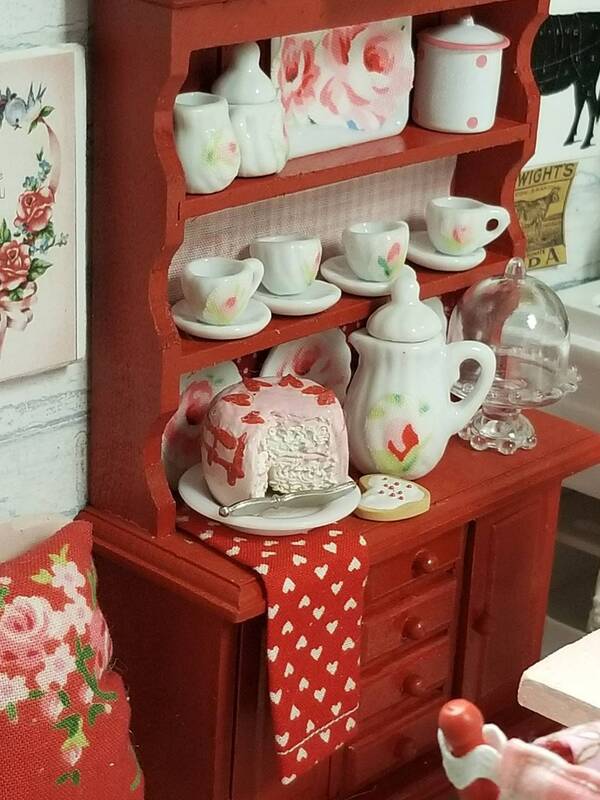 On shelves are roses embellished cups and saucers. 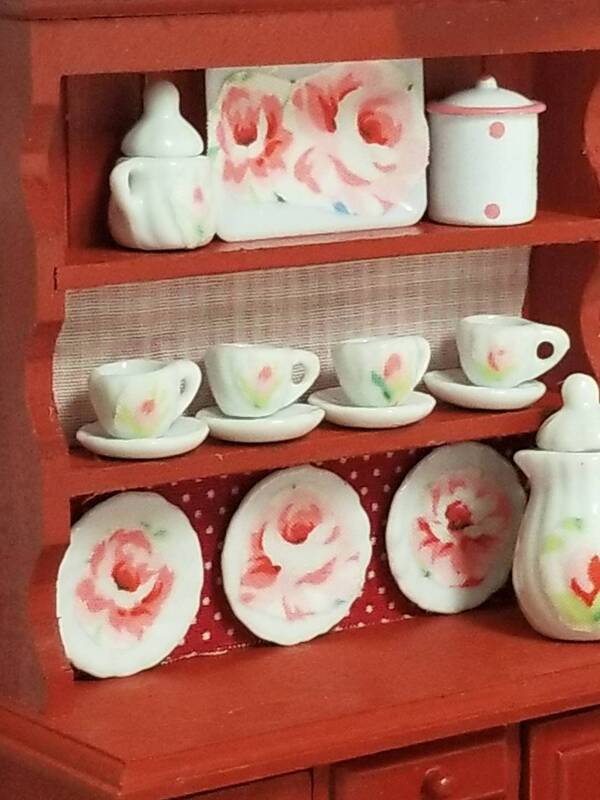 Teapot/coffee, sugar bowl and creamer set. 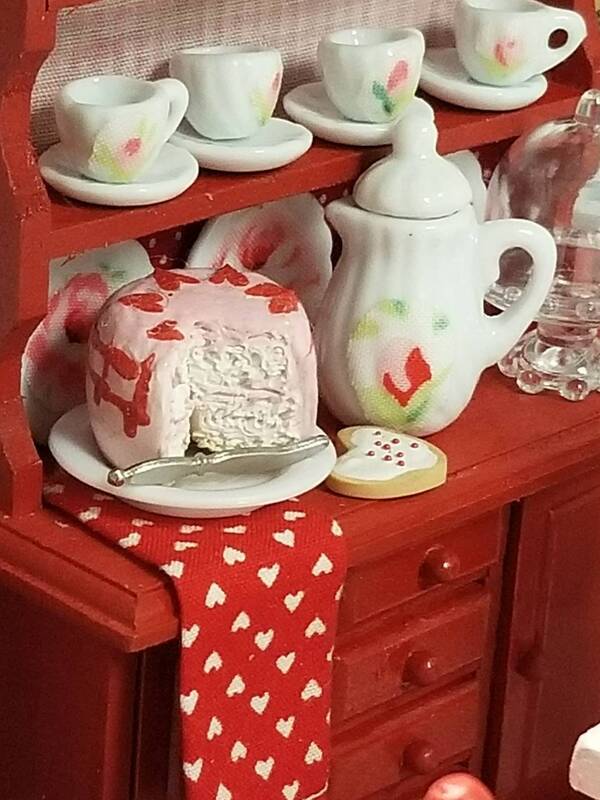 Handmade white cake created with polymer clay, iced with pink and red icing. Cake can be placed towards back when Valentines day is over. Glass cake plate and dome- these are beautiful and perfect for tiny baked goods. 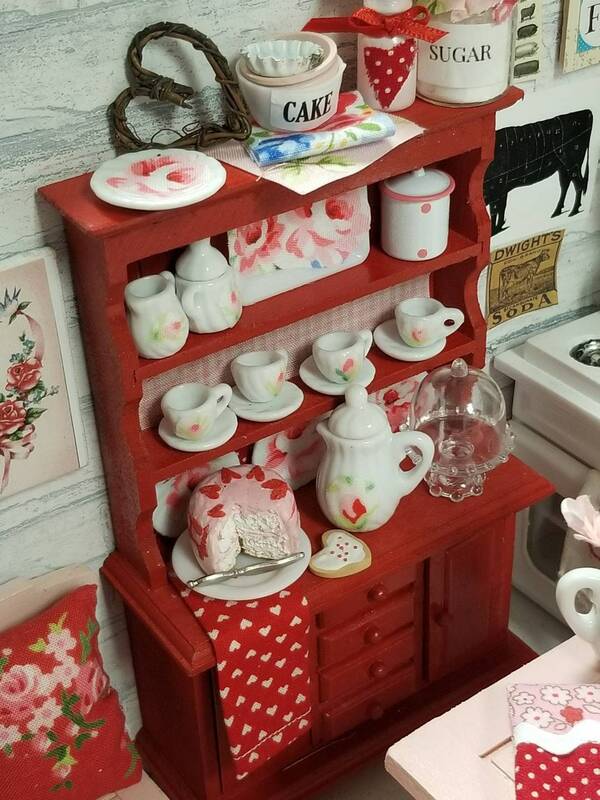 Items on bottom shelf can be moved but dishes on back of shelves are glued in place to keep from toppling over. Hutch is over 6" tall, 4" wide and 1" deep.